The Swiss lender has refused a $2 bln U.S. settlement over missold securities, according to Reuters. Barclays, which spurned a similar deal, offers some hope of a lower eventual hit. 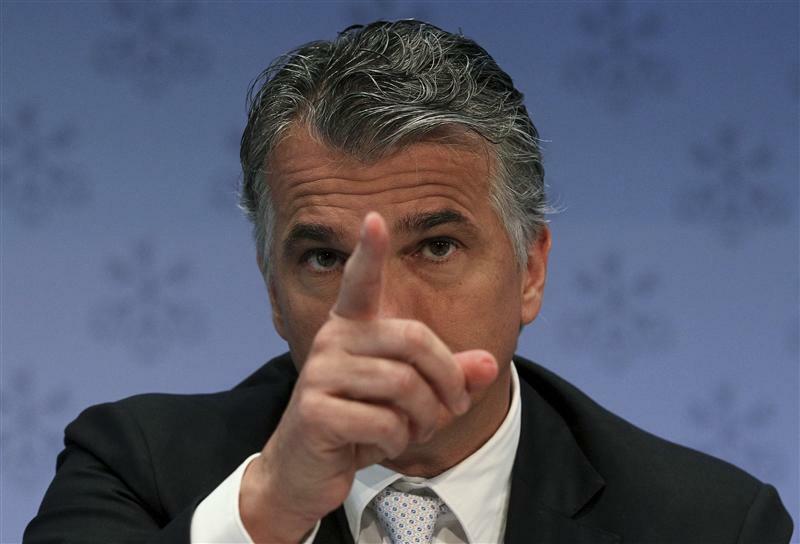 With healthy capital, Ermotti has headroom to fight both this and a separate French tax battle. Switzerland’s UBS has been accused of defrauding investors in its sale of residential mortgage-backed securities leading up to the 2008-09 global financial crisis, according to a civil fraud lawsuit filed by the U.S. government on Nov. 8 cited by Reuters. The lawsuit came after UBS rejected a government proposal that it pay nearly $2 billion to settle, according to Reuters who cited a person familiar with the talks who was not authorised to speak publicly about them. In a statement, UBS said: "The DOJ's claims are not supported by the facts or the law. UBS is confident in its legal position and has been fully prepared for some time to defend itself in court." Separately, French prosecutors have argued in a Paris court for UBS to be fined 3.7 billion euros for helping wealthy French people evade taxes, according to a report by Reuters on Nov. 8. UBS shares were down by 3.4 percent to 14 Swiss francs at 0930 GMT on Nov. 9.